Sixty per cent of doctors’ surgeries in Scotland prescribe homeopathic or herbal remedies, according to a study of nearly two million patients, published in the December issue of the British Journal of Clinical Pharmacology. Their findings have led them to call for a critical review of homeopathic and herbal prescribing in the UK National Health Service, particularly the high levels given to babies and children under 16.
remedies and 32 per cent prescribed 17 different herbal remedies. and the average age of patients was 47.
was to children under 16.
females and the average age was 61.
them a median of four conventional medicines during the study period. This figure went up to five for people prescribed herbal remedies. Sepia (PMT, menopausal symptoms, fatigue). from the University’s Department of Medicine and herapeutics. “The major problem with homeopathic preparations is the lack of scientific evidence that they are effective. guidance in the UK, should therapies with no convincing positive clinical trial evidence be prescribed and funded by the health service? “Or are proponents of such remedies correct in stating that the difficulties inherent in trialling such therapies make evidence irrelevant. Aronson, Editor-in-Chief of the Journal and Reader in Clinical Pharmacology at Oxford University. Agency (MHRA) introduced new rules to regulate homeopathic medicines, allowing manufacturers to specify the ailments for which they can be used. “This move has been criticised by a number of leading UK scientific institutions, who argue that homeopathic medicines should not be allowed to make ‘unsubstantiated health claims’ and that the policy is damaging to patients’ best interests. 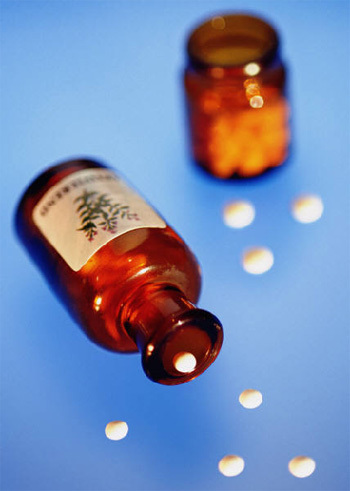 Homeopathic and herbal prescribing in general practice in Scotland. Ross S, Simpson C R and McLay J S. British Journal of Clinical Pharmacology. Volume 62.6. Pages 647 to 652. (December 2006). the medical profession, clinical research and the pharmaceutical industry.